I watched the first episode of Series 3 Line of Duty season recently. It's a highly-acclaimed UK police show, for those of you who aren't familiar with it, with a Police Investigator and his team who investigates malpractice in the Force. This episode was interesting technically. To me at least it was weak and the reason, in my view, was that the story was structured around the guest character, not the regular Police Investigative Team. It was the guest character's story, from his point of view, with the investigative team very much in the background, sort of saying 'Hmm ... we know this guy is guilty but how do we prove it...?' from time to time - and doing very little else. Which, actually, made them come over as redundant. In fact, you probably could have removed the team from the episode without losing much at all. The above poster says it all. The investigative team are in the background. Risky. I realise that the story set up in this episode was part of an ongoing serial line which was going to be pursued in future episodes, but I'd question this approach. It's dangerous territory to assume that the audience will follow through and watch Ep 2 when Ep 1 is weak. It's a big problem when people are writing pilots. It's very easy to write your pilot that sets up really interesting stuff to happen in episode 2. The problem is, if your pilot isn't strong enough, will the audience stick around for episode 2? Maybe the creators thought the audience was loyal enough to take a weak episode 1. Presumably, they were right, since Line of Duty was commissioned for another season. I saw the first Line of Duty season a couple of years ago. It was indeed structured around the investigator, and it was riveting. I haven't watched Series 2. Watching the show this time... well. It didn't work for me. It just didn't engage. Good acting, good direction. I didn't return to watch the next episode. This approach - whereby the regular characters are put in the background - is interesting for a discussion about how you construct stories in TV series. Usually, when you write TV dramas series, you write the story from the point of view of the character or characters that the audience is rejoining your series to see, moreover whom they're returning to see acting in character. There's common sense in this approach. The reason your audience is watching is to see, say, a Sherlock Holmes adventure, not some new character doing things, with Sherlock Holmes having next to nothing to do with the story. You sit down to watch Sherlock being Sherlock as he solves crimes in his unique Sherlock way. That's the contract the creators have with the audience. For those of you wanting to create your own TV series or write for existing TV series, it's really hard at first to drag yourself away from the new character in the series (often because, in existing series, you get to invent it), and put yourself inside the regulars so as to write that story from the regulars' point of view. But I think you have to. You have to honor that audience contract. Otherwise your regulars will be marginalised and the episode, however well you write it, is likely to come over as weak, incomplete. But it takes a really big mental shift to do it. In Line of Duty, I'd say the audience is not coming to see: 'Fascinatingly Crooked Cop'. They are coming to see 'Investigative team cleverly hunts down Fascinatingly Crooked Cop'. There's a real difference. Maybe what's happening in Line of Duty here is that the series creators are approaching their series as you would a TV serial. There is an important difference (this may sound dry but it can be the difference between success and failure). The difference is that serials are typically stories about a group, with some characters foregrounded but all of the group important and appearing in all seasons - as for example in Downton Abbey. We care about and know all of them. That makes it much easier to hold the audience when the spotlight is turned on a background character - because the audience is familiar with that character so is predisposed (you hope) to want to know more. However, in a series like a cop show or a medical show where the format is that a group of regular characters solves a crime or deals with patients who are new or little known and then disappear when the story ends (characters who 'walk in the door' as the saying is in the trade), the audience of course can't have that connection and interest in the new character. Yes, the baddie in the Line of Duty ep I watched had, I gather, appeared before. But the focus was so strongly on this baddie that our intrepid team were left with nothing to do and, I have to say, looking a bit inept. And there was also the obligatory scene of one of the regulars' girlfriends turning up irked because he was late or unavailable so as to push the relationship line along. I always think of the actor playing the woman. Same scene each week. But look, the show got another season, so the audience was happy with it and maybe I'm making a mountain out of a molehill. But I would say the approach is risky. It's not to be done, I'd suggest, unless you are really sure you have a loyal audience - and can one ever be sure of that? Never to be done as the pilot on a show where the recipe is 'characters walking in the door'. In that instance your pilot should pull out all the stops to get the audience interested in the regulars. They are what your audience will be coming back for. 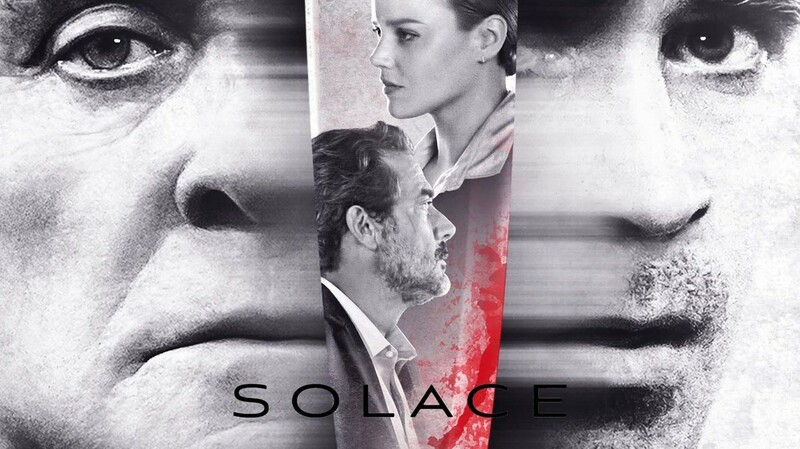 A poster for Solace. Notice it depicts 4 characters. The marketers didn't know which to pick. I'd say this is because the script itself is unfocused. There are three sorts of adventure film that routinely include weak women characters. These characters are there because they are thought of as being merely ‘love interest’ (romantic or paternal) for a male protagonist. The standard screenwriting model of 'one protagonist on a chronological journey' is a great model, but it isn't the only one (I deal with more than 20 different models in my work). Its big problem is that if wrongly used its protagonist-centered approach can create tunnel vision. It can make you as writer feel that a good story means everything you write has to be about servicing the protagonist. This is what's behind the idea of love interest, which translates into an entire character being included merely to show the emotions of another character. BTW, I really wish we could ban terms like 'love interest'. They really are recipes for two-dimensional characters. Heresy? Crazy? Stay with me. These answers work. This remedy involves you rejecting two assumptions. The first assumption you need to reject is that the protagonist is automatically the most interesting character. The second assumption is that the protagonist must always be proactive, not passive or led by another. The Mentor Antagonist is a character type I’ve identified. Oddly, I seem to be the only person who's picked, it, despite its many appearances, so don't be surprised if you don't come across it elsewhere. It’s not to be confused with Christopher Vogler’s Mentor figure. Mentor antagonists don’t appear in all stories, only in stories that have a very specific content: stories about a normal person being caused problems and/or being intrigued by an enigmatic stranger. Examples are Rain Man, Foxcatcher, The Elephant Man, King Kong, Collateral, Silence of the Lambs, Jean de Florette and many more. Mentor antagonists are strange, unpredictable outsiders, sometimes sinister, sometimes benign, who take a less interesting but normal person on some quest or adventure, sometimes physical, sometimes emotional, sometimes both. In benign versions like Rain Man, the mentor antagonist teaches this normal person some wisdom about life, often a wisdom born of pain and the adventure or quest is one of the spirit. In sinister versions like Fox Catcher, the mentor antagonist is dangerous, often murderous, and the normal person has to escape. We’d all agree that the most interesting character in all of these films is the enigmatic outsider character. But in all of them, the enigmatic character is NOT the protagonist. They are an antagonist and the normal character is the protagonist, even though this normal character is less interesting and is reactive. Now, this is not theoretical. It's good strong writing technique. It's about how you, as writer, keep your story interesting. The enigmatic outsider must be seen from the outside so that they remain mysterious, unpredictable and terrifying. If you make them the protagonist we see their motives. They lose their mystery. They become normal. And because your story already calls for a normal person to deal with a strange one, you end up with two normal people, one a little strange but understandably so. Result: boring. In films where the woman is the boring ‘love interest’ and the man is a boring nice guy protagonist (as in Passengers, Wedlock and Solace) you can improve the script instantly and massively by making the boring woman the protagonist and turning the man into an enigmatic (and in darker films), sinister mentor antagonist. You swivel the film so that everything is seen from the woman’s point of view. It’s her story. She is locked into a situation with a man who is at best strange and enigmatic, and, in the darker films, actively dangerous (think Silence of the Lambs). In the darker versions, you have instant suspense and tension in addition to the existing external threat. In the benign versions you’ve made the enigmatic outsider more poignant, more complex. In both cases you’ve not only created a much better female character, you’ve created a much more interesting male character. Win-win. Note that FoxCatcher has two protagonists, the two brothers both faced with the dangerous Mentor Antagonist, Du Pont. If we rewrote Solace (which has three normal partners) we could make the strange psychic (played by Anthony Hopkins), an enigmatic mentor antagonist with two protagonists disagreeing about him. We could make the current anodyne female FBI agent our interesting protagonist number one, in conflict with the present anodyne male FBI agent - changed in our new version into interesting protagonist number two. They could be at odds about the psychic’s motives and behavior. Perhaps one could feel that rather than rather than helping find the serial killer, the psychic might indeed be the serial killer. One final practical thing about mentor antagonist stories. You will often think of the enigmatic outsider character first – because they are so interesting. Don't fall into the trap of automatically making them the protagonist. To make your story powerful you might need to turn your interesting characters into a mentor antagonist and invent a new and less interesting normal person to be the protagonist - so that that your enigmatic outsider is seen only from the outside and stays mysterious and unpredictable. Remember, the most interesting character is not necessarily the protagonist. Good stories are about suspense and interpersonal conflict. Be guided by your content. Remedy 2 Make sure the female buddy in your buddy movie is interesting and involved in a conflict with the male buddy. To do this, you need to reject the idea that you must have only one protagonist and that a protagonist can never change into an antagonist. Buddy movies are films in which two friends, or two people who end up friends, are involved in an adventure. In films like Lethal Weapon, which involves two male police officers, and Thelma and Louise, which is about two women, there is one normal partner and one wild card. In these, both partners are protagonists in the adventure plotline (what I call 'the action line'). They are both different versions of the same protagonist in the action line, each fighting the joint enemy but in their different ways. However, in their personal interaction (what I'd call 'the relationship line' and what is often called 'the subplot') one character stays the normal person (that is, the protagonist) and the other is an unpredictable wild card (antagonist) causing the sensible one trouble. Hence, the same character can be a protagonist in one plotline and an antagonist in another. This way you avoid having Tweedledum and Tweedledee. Unfortunately, when this story has a woman as one of the two friends when the other friend is a male, the woman is often boring, with little to do except be rescued or decorative. She becomes the 'love interest' - either the man’s romantic partner or a daughter figure. The answer here is to set up a normal-person-plus-wild-card situation, where the woman is either the protagonist in both plotlines (action line AND relationship line), or the woman is a protagonist in the adventure, but a wild card unpredictable antagonist in the relationship line. Romancing the Stone In the action line, both characters are protagonists, or rather, different versions of the same protagonist. Both fight the common enemy (in their separate ways). However, in the relationship line the woman is the normal partner and the man is the wild card antagonist. Hence they both fight the enemy in the action line, but in the relationship line we're in the shoes of the woman, who stays protagonist while the man becomes an unpredictable wild card, seen from the outside. The African Queen In the action line, both characters are protagonists, or rather, different versions of the same protagonist. Both fight the common enemy (in their separate ways). However, in the relationship line the man is the normal partner and the woman is the wild card antagonist. Hence they both fight the enemy in the action line, but in the relationship line we're in the shoes of the man, who stays the 'normal' protagonist while the woman becomes an unpredictable wild card, seen from the outside. Here, you need to reject the assumption that there is only ever one protagonist. Double journey films are films in which there are two characters travelling together or apart or in parallel. They are films in which the story demands that we follow two characters in their lives together and in their lives apart. They are not like buddy movies because the partners in buddy movies either stay physically together for the whole film or are only briefly apart. Double journey films include films as different as Finding Nemo, Brokeback Mountain, The Queen and Lives of Others. These films have three main plotlines. Each partner has a story when they’re apart. They have one story that they share. They have one when they are together. In the one they share we will usually see one character in more depth than we see the other. The two will be different versions of the same protagonist, often two opposing views of a social role or two opposing social roles or taboo. When a woman is involved as one of the partners, the 'love interest' problem can creep in. A clear example is Cold Mountain, in which Nicole Kidman, as the faithful lover waiting for her man, has no plot and is given nothing to do. In Cold Mountain, all poor old Nicole is given to do is wait, presumably because the male partner is being thought of as the sole protagonist, the hero on his journey home - so it probably didn't occur to the film's creators to give the woman anything to do until the man came back into her life. She was there solely to be wait and to be inspirational to her man. You could instantly energize and enrich the story and the issues it raises around war by making the woman the man's mirror opposite. In this model, as the man goes into moral decline ( into what he says in the film is a damaged version of himself) the woman moves from passivity into a more proactive version of herself. She does something, perhaps actively assists escaping slaves. This way, she would travel a journey too. Notice that a 'mirror image' story like this not only creates a much better woman character, but also, enriches the male partner because of the contrast between the two journeys. BTW, Double Journeys movies, like Buddy Movies, are in my view, as you might have realized, another instance of multiple protagonists. However, Double Journeys differ from Buddy Movies because, as well as two versions of the same protagonist, in some films you have mirror images or opposites of the same protagonist. So there you are. Three ways to turn boring female characters into interesting ones. And notice, it’s all about changing your attitude to the conventional views about protagonists. Rejecting the assumptions I've mentioned increases suspense and mystery and can actually rescue a struggling film and turn it into something very powerful. Forget the idea that narrative is always the same. It isn’t. The one hero model is a fine model, I love it, particularly Vogler's model, it's brilliant. But it's not the only model. As I say, in my work I isolate over 20 different types of structure that don’t fit that model. I repeat, that model is, as I say, great. It's just not appropriate to certain stories, which actually often use multiple plotlines, nonlinear as well as chronological, as well as using the protagonist differently. To assume the one hero model is the the only one immediately blinds you to solutions. Be guided by your story content. Different story types demand different structures and many of them involve more than one protagonist and characters who don't obey the rules that govern the one hero model. In response to my post on Ten Ways the conventional Hollywood three-act one-hero chronological structure will let you down someone in a discussion group responded by suggesting that I’d said the concepts of The Hero’s Journey (famously explained in Christopher Vogler’s wonderful book The Writers’ Journey by means of a circle diagram) were invalid. The person then cited attempts that have been made to explain nonlinear and multiple protagonist films by fitting them into one (and one only) of the hero’s journey circles. Since I’m a huge fan of Mr Vogler’s material and have built on it extensively in my work on parallel narrative, particularly complex flashback, I thought I’d clarify my position, since there were obviously crossed wires. You might be interested since writing it made me consider the hero's journey model all over again. Oh dear, crossed wires! I never suggested that Mr Vogler’s Hero’s Journey concepts are invalid. To the contrary, I am a great admirer of his model for use in single hero linear films and storylines and I am greatly indebted to him. His model is a brilliant guide to creating a great film by giving you a step by step guide to what one hero has to do and feel and think during the action. It’s a route map for one-hero films. However, brilliant as it is, by definition, it’s not designed to cope with multiple protagonists or the very difficult consequences for writers that they cause, namely how you interweave multiple storylines coherently and without losing pace or having them turn into a disconnected set of character vignettes. The idea behind the model is that it tracks, step by step, one hero’s journey into hell and back (one hero only), with the hero acquiring greater self knowledge and moral improvement through specific encounters with specific archetypal characters. The emotional and physical journey is depicted diagrammatically as a circle. The order of the stages is essential to the model, and the journey happens to one individual alone. Its point to provide a step by step guide for writers to produce a linear film, and the completed circle has to read like a point by point depiction of the onscreen action. It is a causal continuum. Thus, while I have seen examples of attempts to make multiple storyline/nonlinear films fit into one of Mr Vogler’s circle, I don’t think that works. By definition, the model is designed for one hero alone. You can’t, as I’ve seen attempted, explain a multiple protagonist and/or nonlinear film by lifting bits of behavior that match the stages of the circle from a number of different characters (sometimes without regard to where these behaviors appear in the film) and inserting them into the place in the circle diagram where the model demands they should be happening to one hero alone. That gives you nobody’s journey because no one character has completed the full circle, which is the whole point. Quite literally the hero’s journey – step by step movement of one hero, the causal continuum - has been lost. What you’ve got is a list of character behaviours that occur somewhere in a film - arranged in a circle. If you were to shoot the events as they appear in the circle the film would be barely recognizable. Thus I’m afraid the material you cite doesn’t answer the problem for me. Great that they do for you, though! * Mr Vogler himself has very kindly and generously endorsed my work on parallel narrative, including, actually my explanation of how to handle multiple protagonists http://www.lindaaronson.com/screenwriting-updated.html. A car driving up and stopping in front of a house can take a long while to set up and shoot, but often adds nothing to story or characterisation. In fact, because it adds nothing, it can even slow the film right down. Why not open your scene on the car already stopped in front of the house? You’ll probably lose zero in terms of plot and character, but actually add pace and, most importantly, have money in hand to spend on your important scenes. Always think very seriously about budget when you are planning scenes. Scenes must always enrich a flim, either in terms of character or plot or both. Screenplays with lots of transition scenes that serve no other function than showing a character travelling between one place and another –on foot, in cars, leaving their homes, riding their bikes – are often boring, pointless and, in financial terms, a luxury your producer can’t afford. They can be important, but they’re often redundant and are often cut at some point early in the action. They frequently indicate a writer planning on the run,someone who doesn’t yet know what’s going to happen next or what is and isn’t relevant, so is just including everything they visualise happening. Tight editing of your own work not only saves your producer money but speeds the script along. Every actor has to be paid. Think seriously about reducing character numbers, and remember that the more lines an actor has, the better the actor you’re likely to get. So, if your storyline permits, instead of having three customers in the pet shop, each with one line,try one actor with three lines. Of course,sometimes you’ll need your three actors, but always think of condensing and reducing. Often, less is more. You’ll often find you’re able to cut the opening of a scene. The traditional wisdom is that you open on a scene at the last moment before it ceases to make sense. The idea is to add pace. Yes, in a perfect world you should have planned your scene so there is nothing redundant at the start. But it often doesn’t work out like that. Even if you’ve carefully planned, more often than not it will take you a while to settle into the scene. Until then, you’re workshopping the scene, so there is likely to be dialogue and action which is redundant. If so, cut it. Good self-editing can save time in script development, on set and in post-production. When you have an expensive scene, consider cheaper options. If all you want to show is that your young lovers are in love, do we need to seen them walking through a crowded piazza on market day with a brass band playing and a circus parade passing through? If you’ve got the money, fine. If not, economise. Try to infer the effect or scene through sound or through clever shooting. For example, if you really want the piazza, we don’t have to see the brass band, we could simply hear it. You can get the sense of a busy market by having a tight shot of the couple at one stall, then moving to the stall next to it. That demands only two stalls and two actors as sound effects. Add some piazza sound effects and you’re there. If you’re really strapped for cash, find a pictureque-looking brick wall and put your two actors at a table in front of it. I’ve heard producers say this more times than I’ve had hot dinners. They genuinely mean it at the time, but when you arrive back with the script with the blockbuster budget they panic. Return your script with the comment: ‘I’ve kept the budget as tight as I can – I can always spend more if you can get it’. This usually brings a wide smile. All of this said, some writers will disagree and go for costly effects on the basis that it’s the producer’s job to find the money. I suppose it depends on the producer. Learning how to write to a budget is a very useful skill because you will often have to do it in script development. Also, you’ll often find yourself having to relocate a scene during shooting because of practical difficulties like bad weather or some technical hitch. To start, pinpoint for yourself the precise point of the scene. What are you trying to get out of the scene dramatically, symbolically etc? Then work out a different but hopefully equally-powerful location. Surprisingly often, you’ll find it’s actually better than the original. As a postscript, never, if at all possible, let anyone else do any of these last-minute rewrites. They can be spectacularly awful. This is an article that appears in my newsletter this month. It's about the first act turning point because the first act turning point is a vital element of all stories, whether linear or nonlinear. The first act turning point isn’t an academic thing. It is hugely important. It has a purpose. It turns the film in a startling new direction. It starts the real story. Often films that are perceived to fail in their second act - in their middle - are films that just don’t have a good enough first act turning point. They haven’t created enough of a problem for their characters at the first act turning point, so there’s just not enough story to fuel the rest of the film. I’ve often said that the first act turning point is a surprise that turns into the obstacle that drives the rest of the story (that’s the Smiley Thompson model). I also say (my model) that the first act turning point tells you what the film’s plot is ‘about’, as in ‘my film is ABOUT an actor who dresses up as a woman to get a job in a soap opera’ (Tootsie). The first act turning point is that it’s exactly like the turntable on a railway line. It turns the engine of the film round and points it in a very specific direction – a direction which comes as a surprise, often an extreme surprise. For example, I’ve already mentioned Tootsie, so let’s look at how it works. We sit down, we start to watch a film that’s all about a very good actor who’s so difficult to work with that he can’t get an acting job. He’s obviously going to have some kind of adventure, maybe to do with being an actor, maybe not. Then suddenly, this man is dressed up as woman and getting a job as female character in a soap opera! Hello? We have swiveled in a logical but utterly surprising direction. In Thelma and Louise two women go off on holiday, stop for a drink – and suddenly they’re murderers on the run. Again, the film has swung in a completely different although logical direction, a direction that gives us the film’s real story. So, as I say, it’s like a railway turntable. Your railway turntable/first act turning point has to take your story on an interesting journey to somewhere even more interesting, or like the train, your film will come to a halt or go off the tracks completely. But unless you have that turnaround, that swiveling, that surprise it will be predictable. Of course, some films have a more striking first act turning point than others – and the lesser the surprise at the first act turning point the ‘quieter’ the film, the more ‘art house’. Often when people say a script is more suitable for a telemovie it will be because it doesn’t have a surprising first act turning point. I’m not saying that such films are bad – they can be very very good indeed. It’s just an observation of what is causing the ‘quiet’ and ‘art house’ effect. As a writer you need to know what creates a ‘quiet’ ‘art house’ story and what creates something less subtle. How to pick a good first act turning point To pick whether the first act turning point will work, here’s a trick. Check it against films that work well. Does it tick all the boxes that are ticked in those successful films (art house or otherwise)? Here are the boxes that need to be ticked. Box 1 The first act turning point is what the film is ‘about’ in terms of plot. Is that so with your film? Box 2. The first act turning point is a physical surprise that turns into an obstacle that creates the whole story. Is that so with your film? Box 3. The first act turning point is an entry into another world. Is that so with your film? Box 4. The film’s climax answers the question raised by the first act turning point. Is that so with your film? Let’s try the check list with the film Tootsie. The first act turning point is when Dustin Hoffman walks down the street disguised as a woman to get an acting job in a soap opera. We can accurately say of Tootsie that it’s ‘about’ ‘what happens to a man who dresses up as a woman in order to get a job in a soap opera’. (Tick Box 1). We can accurately say that the first act turning point is genuinely an unexpected surprise that turns into an obstacle that drives the rest of the film. (Tick box 2). Finally, the film’s climax genuinely answers the question raised by the first act turning point of: ‘how is a man who dresses up to get a job in a soap opera going to get out of that one!’ (Tick box 4). First Aid Training. 'I'm not sitting here staring at that all night'. I have been getting requests from students in Australia who are studying drama and have been given the job of delivering a monologue from my comedy/drama stage play Dinkum Assorted by a character called Millie. They're interested in my views. Dinkum Assorted for those of you who don't know is a play written by me many years ago, with songs and music also written by me for cast of 15 women and a nanny goat, set in in a remote country town biscuit factory in World War II when 2000 American airmen arrive. 'Dinkum' is an Australian colloquialism and means 'genuinely Australian' and Dinkum Assorted in the play is a line of cookies and, of course, a reference to the women themselves. The play premiered at the Sydney Opera House, was a big success and has rarely been out of production somewhere in Australia for decades. It was great fun to write and be involved in, particularly the moment when the cast, whom I'd instructed must, as well as riding a motorbike and side car around the stage and dance the tango with life size male mannikins, must learn to tap dance down a 15 foot high pyramid of biscuit tins, got their revenge by making the director, the magnificent Shakespearean director John Bell and myself learn a tapdance routine which we performed at the opera house (luckily for only a small invited audience). So there you go. 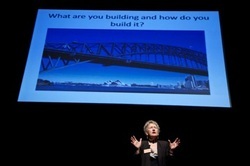 How many playwrights have tapdanced on stage at the Sydney Opera house? Anyway, this play now routinely turns up in exams. So, for all of the students who have to study it, here are my thoughts. (PS Sneak preview. I am writing the film script at the moment). 2. Was it for entertainment/ or a specific message see Writers’ Notes in published script of Dinkum Assorted . My answer is that it contains both. BTW this is an interesting question because you pose it as an either/or. I query that. Does ‘entertainment’ always preclude a message? What about comedy satire, the nature of which is to transmit a message? Or black comedy? I’m not on the attack here, or suggesting that Dinkum is a satire, it isn’t. I’m simply saying that the message and entertainment can and do sit together and, to my mind, it’s a false distinction. Theatre IS entertainment, whether the content is dark or light, and often it’s both, which is why Checkhov called his plays ‘comedies’ . It is - and always has been - about, as we say in the trade, ‘backsides on seats’. Do you know why Shakespeare wrote The Merchant of Venice? Because Christopher Marlowe, his great rival, and the company Marlowe wrote for, were having a box office hit literally in the theatre around the corner with a play entitled The Jew of Malta’. Shakespeare deliberately wrote a play about a Jewish man to steal the trade from his rival. Regarding comedy, speaking as a writer who can write comedy and darker material (and comedy is the harder of the two - a lot harder than it looks – dark material is a lot easier), I often use comedy to transmit a message . You can see that in my Young Adult fiction. My novels Kelp, Rude Health, Plain Rude and Naturally Rude are a comic treatment of many of the painful bits of adolescence, transmitting a message which would be resented and feel trite if delivered overtly. I also use comedy to manipulate the audience in a very special way (and we writers are, of course, always very consciously manipulating the audience as are actors). Comedy is a very fast way to win over an audience. It can do it in seconds. Hence, I sometimes use it very consciously to grab and win over an audience so that I can turn the tables quickly – and spring a serious scene with greater impact. Similarly, another thing I can and have done often with comedy, with great success, to transmit a message, is to make an audience love a character via comedy (because audiences love characters who make them laugh)– then suddenly make that endearingly funny character reveal a nasty or evil side - which brings the audience up short. It makes an audience see how easily it can be conned. It shocks and provokes thought. I don’t do that in Dinkum (although I do consciously juxtapose comedy with tragic material, because that was part of the play) but I have done in other plays and in TV and film work. These are tricks of the trade. 3. Any specific themes you wished to display A whole heap. See Writers’ Notes. This isn’t one for me to answer. I believe that once a play leaves the writer it belongs to the actors, the director and the audience - as long as they don’t abuse the play by a gross and deliberate misinterpretation (for example, make Millie a drug addict or something equally at odds with the spirit of the play). The play speaks for itself. My beliefs about Millie are in the text. Look at the information given by the play about Millie. Decide on her social class and the social behaviours expected of that class of woman in that era and whether she is or isn’t conforming and in what way. Look at what I’ve given you. Her husband is missing, possibly dead. Her inlaws don’t like her. She is desperately homesick and isolated. She has trouble behaving a normal mother. She is engaging in very dangerous sexual behaviour. She is looking for a kind of freedom. She copies Joan. Look at the symbolism of that long speech. A person standing on a jetty as the tide inexorably comes in, covering their feet, their ankles, rising higher and higher…? What does all of this tell you? What do you personally make of it? Does Millie know what she’s doing or is she in a frame of mind so disconnected as to make her unaware of the ramifications? Is this conscious suicidal behaviour? What is it? I have seen many actors’ interpretations of Millie, and it is my job as a writer to do my best to create rich characters capable of different interpretations. Find yours. Explore. Experiment. Don’t be afraid to take the pauses. Find the subtext, explore the unspoken thought progression. In short, Millie is all yours. Find a Millie that is, genuinely, yours. I hope this helps. Good luck to you all for now and the future. I was chatting with someone the other day about grammar and it reminded me of this little comic way I invented for my own kids so they could remember grammar basics - through hip-hop. They enjoyed it so much – and learnt it so easily - that I taught it to the young students who came to my creative writing classes or were at the schools where I was invited to give talks about my work. Those children taught others and the whole thing snowballed to the extent that I’ve now heard many hilarious stories of teachers and students enjoying it to the degree that they’ve actually performed it for the whole school – with costumes to match, to the great hilarityof everyone concerned. It became called ‘Linda’s Grammar Rap’, and now generations of school kids have enjoyed it, and, I’m told, many adults too. ‘Cos a hammer is a noun and a noun is a thing. A verb is what you do, like when you sing. To describe a noun - use an adjective! But when it comes to grammar, I got - attitude ! You need to know their function. they got the name ‘conjunction’. Like real estate, position, bro, is what it’s all about. Cos when it comes to grammar, gotta do it with RESPECT!. I was reading comments on Linked In about multiple protagonist films being essentially TV forms and not at present popular and accepted, I'd disagree. I think they are very common in film and have been for many years. Almost every time you see a poster that shows a group of characters together you're looking at a multiple protagonist film. Almost every group mission, siege or reunion film is structured this way - because the point of such stories is that a number of equally interesting individuals are thrown together by the same event and each reacts differently (and interestingly) to each event. These films aren't rarities or art house films. 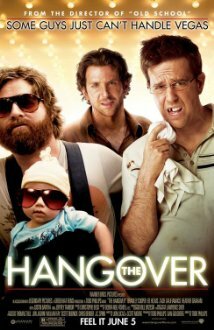 'The Hangover' series are all multiple protagonist films, as is 'The Full Monty', 'Death at a Funeral', 'Independence Day', all of those 'Cinderella Sports Team' movies and really any movie that could be subtitled 'Let's put on a show' or, in gangster movies. 'One last job' . Most war films are structured this way. I haven't yet seen it but from the sound of it, I imagine 'The Monument Men' is multiple protagonist film. From memory I'd say the Police Academy comedies are also multiple protagonist. Commercially, the great thing about these films is that they normally provide a number of really good roles that attract good actors. As for the idea of considering your multiple protagonist for a TV series instead, it's a good idea, but it'll only work if your premise - what your multiple protagonist group is doing - must be capable of providing many seasons. Stop Press: If you're in Australia you might be interested to know that I am teaching a two-day seminar on New Structures in Film and TV Writing in Melbourne, Australia this weekend! 1-2 March Greatly looking forward to it. I don't know when I’ll be back teaching in Melbourne (this is the first time in about 8 years) so if you’re interested maybe now is the time. Here's the info I particularly like the pic to the left since it looks as if the Sydney Harbour Bridge is about to fall on me (it didn't). Hope to see you in Melbourne if you can make it. BTW for those in Europe who've been asking, yes, I'm back teaching in various places in Europe in Autumn. Meanwhile, last weekend I was teaching a two day seminar in Sydney (it was great, thanks to everyone for coming) and someone asked me at one point about typing and software. Here are some quick comments. 2. If you don’t touch type, write in pen. Dialogue is too hard to create if half your mind is taken up with finding the right keys. 3. Learn to touch type. It saves ages. 4. Beware scriptwriting software. I love Final Draft and the like but they can make the telephone directory look like a masterpiece. Don’t just sit down and start writing with these programs because any old rubbish will look good. Plan! 5. Plan by notes, outlines and crucially, by using cardboard index cards to set out the beats so that you can see the whole film at a glance. Don’t use images of cards on a computer screen to plot your story progression. There are about eighty or ninety plot beats in a film, sometimes more. You can’t possibly get all of those on to one computer screen. You need distance on your film so that you can cut and rearrange beats. But do remember to number them, particularly each time you reorganize them, so there isn’t a calamity when they get dropped (which always happens). Is Aronson mad? 18 Different types of script structure?